further afield | En Avant! In this special guest post, school transport expert Sian Thornthwaite looks at the challenges of the school journey around the world and finds an increasing amount of common ground. Sian is the founder of specialist school transport consultancy STC and co-founder of Interchangeability, an international school transport conference taking place 15-18th June 2014, near London. Anyone working in passenger transport in the UK is aware that school admissions season is upon us, meaning transport applications and challenges over entitlement to free or subsidised travel. Does a child live just over the 3 mile distance, should you measure it from the gate, front door, child’s bedroom door or his bed?! When is a school the nearest one, when is a walking route walkable? Despite being a wealthy western country, the UK is mean with its transport offer to young people – only 10% qualify for free school travel, outside the PTEs few have any concessionary fares, and the offer is being drawn ever tighter. Authorities are withdrawing post 16 transport, removing free travel for those attending faith schools or increasing charges in an attempt to balance diminishing budgets. There is little doubt that for pupils and parents in the UK the school journey will become more difficult and expensive in future years. Despite this, few young people in the UK face an impossible journey to school. Many will complain of traffic levels, road safety, fears of abduction, or the inconvenience for parents of having to take children when they work. These fears and problems are real and many countries make life considerably easier – half of pupils receive free travel in the States, a third in Sweden – but what of elsewhere? Globally more than 57 million primary school age children are out of school (UNESCO, June 2013) – not through truancy, school phobia or absenteeism – but often because they cannot get there. Half will never set foot through the school door; a further 23% will drop out. 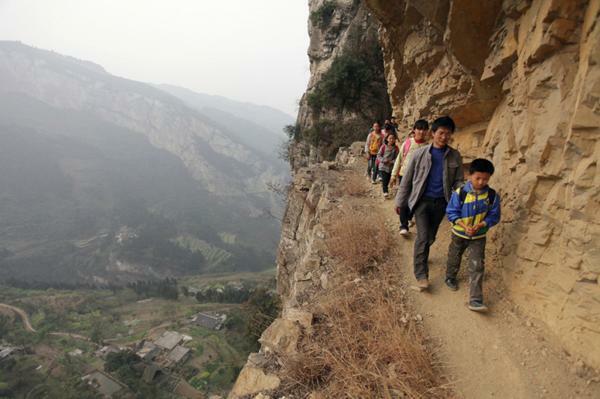 One major reason is their journey to school is too long, difficult or dangerous. My transport career started in Northumberland 30 years ago. One of my first tasks being to check transport contracts for children living on Lindisfarne, where tides dictated whether they went to school that day on the mainland, teacher came to them, or they boarded. However, the inconvenience of tide times pales into insignificance compared to journeys for many young people where damaged infrastructure, flooding, armed conflicts and wild animals, not to mention extremely long distances all contribute to being unable to get an education. Recently, I’ve been fortunate to work with education and transport providers in China and the Middle East. Such countries are expanding their passenger transport systems and building new schools at dizzying speed, yet there as here concerns about both personal security and road safety feature strongly. There is ongoing discussion about how children with special needs are included. In developing cities as here sustainability, congestion and pollution are major concerns and the peak hour demands of the school journey a major contributing factor. Escalating transport costs and rapidly rising rates of childhood obesity are also concentrating minds around the world. UK children may not have to brave wild elephants as their Sri Lankan counterparts do on their school journey; nor do transport planners here have to think too hard about designing bus services to cope with 40+ degree temperatures as in Abu Dhabi, but whether delivering passenger transport in Dubai, Delhi, Denver or Dudley there’s increasingly common ground. Parents’ and pupils’ concerns are universal – access to education, increasing costs, timeliness, quality of service, personal security and safety. Policy makers face the same challenges of reducing road congestion, tackling childhood obesity and balancing limited budgets against rising expectations. All must recognise that passenger and school transport matters. School transport, school planning, special needs, working and consulting with young people, travel training, marketing bus services to young people, and dealing with the media will all be themes covered at our upcoming school transport conference www.interchange-ability.com June 15-18th 2014, near London. Discounts are available on day rates and full conference for pteg members. Here are three global transport trends that should be reshaping urban policy in Britain. They already are in the world’s most dynamic cities in developed countries. They are transport trends – but they are about far more than that. Cities need to be smart to thrive. They need to be dynamic, enjoyable, attractive places where smart, creative people want to be and where things happen as a result. Cities are also the future – as more of the world’s population becomes urban. As that population expands the challenge of climate change becomes more acute. Smart cities will be the places where the technologies and policies to tackle climate change will be found and put into practice. And smart cities need smart transport policies. A bike in Berlin – Creating the right environment for cycling is the next level of membership to the smart cities club. In leading developed cities around the world – from Los Angeles to Berlin and from London to New York – young people are opting out of car ownership as the be-all and end-all of transportation. They have other status symbols. They are used to rental model (phones, flats) rather than owning depreciating assets – even if they could afford it. They want to be fit and healthy. They want to be independent. They want to cycle. Smart cities ‘get it’ that they should make it easier for them. Most big cities now have their cultural / creative quarters and a modern art gallery. The next level of membership of the smart cities club is to have a city centre where young people are cycling around, sitting at pavement cafes, on their smart devices, working from anywhere, making connections, creating a buzz. 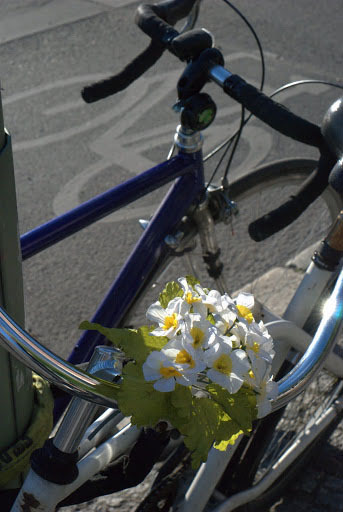 Cities that don’t get it are blowing the cash that could have transformed cycling provision in two years on a few miles of highway schemes that will take five years and have close to zero impact on a city’s overall fortunes. It’s the difference between cities still pursuing a shopping list of highway engineers’ schemes from the 1970s and cities which have a vision of where they want to be in the 2020s. In the UK saving the planet through tackling climate change can now appear to be a distant priority behind the need for measures that will promote ‘growth’. Indeed action on climate change is increasingly seen as a potential impediment to growth because many of the measures that rightly or wrongly get to wear the growth promoting badge (such as building massive roads and slashing planning regulations) could be held up by concerns about what they mean for climate change. In Berlin things look very different (see also this BBC article). Renewables will make up half the electricity supply, and a third of total energy, including transport, by 2030. Brandenburg (which contains Berlin) is aiming to get to 20% in seven years’ time. On some days of the year it is already producing more solar and wind power than it needs. In short, Berlin will ultimately become one giant battery which can store or sell on energy when there’s an excess. Where individual buildings and electric vehicles will also act as smart batteries using, generating, storing and selling back energy on the basis of sophisticated IT that can factor in generation levels, electricity prices and weather forecasts to manage these complex interactions. 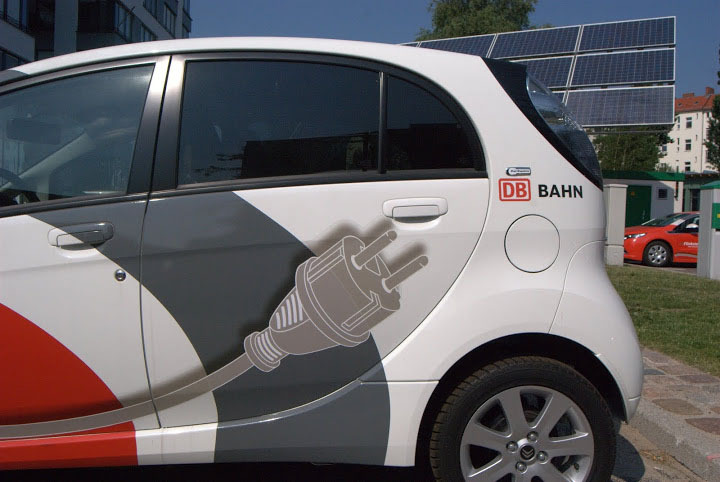 A smart grid meets smart transport because carbon-powered vehicles are on the way out. Vehicles powered in one way or another from the grid are the future. It’s not just cars that will go electric. There are buses running now that can recharge their battery wirelessly, as they go, from coils set in the road. Siemens will soon be trialing a system of powering lorries from overhead wires where lorries doing regular quarry or port shuttles can operate electrically, whilst still having a diesel engine for working away from the wires. There are a host of other technological options too for the electrification of transport – and it’s just too early to say which will be the ultimate winners. But the trend is clear. In Berlin this all comes together on the EUREF campus. Based on a former gas works the site brings together academia with small and large companies working on both smart grid and electric transport technologies. The campus uses on-site solar and turbine power managed by sophisticated IT to power the electric vehicles that are being developed – or that are making the transition to mainstream. And electric rental cars are starting to go mainstream in Berlin. This is all good for Germany and Berlin because it’s German firms (large and small) that will benefit and Berlin as a city is where smart people will want to be to be at the centre of the fascinating, worthwhile and ultimately remunerative challenges involved in saving the world. Smart cities will want to be looking very hard at what Berlin is doing. 3. 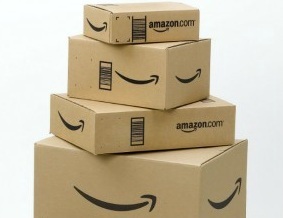 Total mobility is nearly here – but who will be Amazon? Who will be the Amazon of transport, delivering total mobility packages? In the future your smart device will be the way you find the fastest way from A to B, and means of making that journey by any mode. It will unlock a hire bike, be the key for an electric rental car and your ticket to ride public transport. Who is in charge of the ‘total mobility’ offer will become more important than who provides the individual services. They will be the Amazon of transport. That future is not too far off now in countries like Germany and Austria. It’s not here yet as making such a system pay is a challenge, and because the key players are still developing their strategies and jockeying for position. And there are a lot of players including mobile phone companies, automobile manufacturers, public sector transport authorities, private sector public transport providers, power companies and who knows – even internet giants like Google and Amazon. In the UK at present only TfL in London has the powers and resources to be the Amazon for London. Elsewhere in the UK the danger is we get a fragmented series of sub-standard total mobility offers as neither the public or private sector has the scale, position or resource to do the job. However if the nettle of TfL-style control of rail and bus was to be grasped then there’s no reason why the kind of total mobility offers that Vienna or Hamburg are moving towards couldn’t be led by UK public sector transport authorities forging strategic, dynamic alliances with the private sector on key areas like technology and car hire. whatever you do, bear in mind that the long game is about providing total mobility packages. It is best these are rooted in where cities want to be in the 2020s rather than on the purely commercial objectives of some yet to be Amazon of mobility. Decisions now on ticketing, cycle hire schemes, rail franchising and Quality Contracts will echo down the years in terms of whether UK big cities are at the heart of total mobility – or a peripheral player. Wales – time for a leap forward on transport? Wales is positioning itself as a small country that can do great green things (Picture: National Assembly for Wales on Flickr). Scotland got a comprehensive deal on transport powers as part of devolution and has forged ahead with some confidence – particularly on rail. The state of play on devolution of transport powers in Wales is less clear cut and remains complex and unresolved. Small countries can do great things on transport (the Netherlands and Switzerland are among the best in the world on all sorts of measures of public transport integration – and of course the Dutch are world-beaters on cycling). Wales is positioning itself as a small country that can do great green things that make people want to live, work and invest there. The flagship transport measure being an Active Travel Bill which puts more of an imperative on local transport authorities in Wales to prioritise cycling and walking. On bus and rail the direction of travel is less clear cut, with powers uneasily divided between Wales and the absentee landlord in Whitehall. There’s also an impasse on local transport governance. Wales is served by four local transport partnerships which bring together existing local authorities in a voluntary way. There’s a sense from many however that this isn’t enough to bring efficient and integrated arrangements for public transport services and ticketing – especially in the area which covers Newport / Cardiff / Bridgend and the Valleys. This was certainly the impression that I got at two events in Cardiff that I took part in earlier this year. The first was giving evidence at a Welsh Assembly Enterprise and Business Committee and the second was an Institute of Welsh Affairs conference. Part of the context for this fresh impetus for the debate was that the Valleys are changing. The physical scars on the landscape left by primary industries are healing – black landscape reclamation is turning into green tourism. And although the social and economic scars are not so easy to heal there is change there too – with population on the increase after years of decline, and steady diversification of the Valleys’ economies. Meanwhile Cardiff now has the look and feel of a capital of a small country. Its growing big city economy is also the bedrock of the wider Welsh economy and more people are commuting into the city as a result. The Valleys are linked to Cardiff by a rail network that makes the best of its basic stations and bottom of the heap rolling stock, but forthcoming proposed electrification of the South Wales main line, and the Valley lines, offers the opportunity to do something special with the network. Especially if this is linked to the creation of a transport authority for the area that could make sure that faster electric services are linked in to a fully integrated bus network. By the nature of their geography the Valleys are ideal for a hub and spoke system with rail providing the rapid links to Cardiff, and bus services radiating from key stations – all bound together by smart and integrated ticketing. Just treating the electrification of the Valleys as a rail engineering project with knock on benefits for rail passengers would be a major missed opportunity. As ever though governance change is hard. Politicians and officers fear that they will lose out from the creation of a new body – either in terms of influence or responsibilities. Plus there’s an added difficulty with the Bridgend, Cardiff, Newport and the Valleys area. Nobody knows what to call it! It’s not exactly a city region. Extending the Cardiff brand to cover it would also be neither diplomatic or quite accurate. Everyone knows what this area it is – but there isn’t a word for it! What it could be though is a great place to live and work as the century progresses. The green valleys, Cardiff’s buzz – a big sub-region in a small country doing great things. Sometimes transport’s role can be overstated in transforming regions – but not here. Core urban bus services, fast electric services to the Valleys’ hub stations for bus feeder networks. One brand, one smart ticket, one network. Binding local economies more closely together into a region that could hold its own. It’s there for the taking if the politicians are ready to take a leap forward on getting the powers they need from Whitehall and in taking some big, resolute decisions on bus regulation and transport governance. The papers from the excellent Institute of Welsh Affairs (IWA) conference on ‘Making a Welsh Metro happen’ can be found here. The North of England could really do with something similar to the IWA. 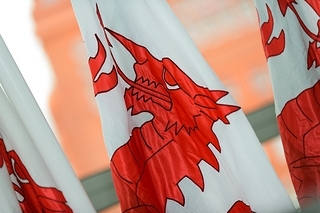 The IWA gets the right blend of academia, politics and interest groups together into events and publications that stimulate a grown up, informed debate about where Wales goes next. The report from the Welsh Assembly Enterprise and Business Committee on integrated public transport in Wales makes some sound recommendations on ways forward and can be downloaded here.